Going Down under? 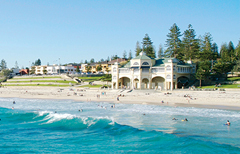 Come to the experts at Travel Australia to find your perfect holiday to Australia or New Zealand. Almost all of our staff have travelled extensively offering you personal knowledge and experience, from travelling to the Vibrant cities, Australian Outback, relaxed coastal lifestyle and exciting Aboriginal heritage. From Backpacking to Luxury 5* accommodation, Car Hire to Campervan, Escorted Touring to Small Groups we can help you tailor make an Itinerary to find you your dream holiday. 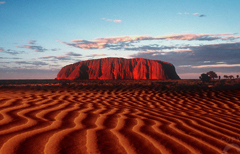 Travel Australia has the best flight prices with a great choice of airlines. 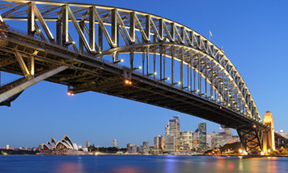 Our experts can guide you through stopovers and arranging the best options for Internal Flights within Australia or New Zealand. 3 nights at the Metropolitan Hotel Deira in Dubai (bed & breakfast), 6 nights Perth 3* Sullivans (room only), 4 days car hire (all inclusive), 3 nights Margaret River 4* Darby Park Studio (room only), 1 nights Perth 3* Choice Hotel Perth City (room only), Qantas flights. 4 nights Darwin 3* Travelodge (room only), 2 nights Ayers Rock 3* Outback Pioneer (room only), 1 night Alice Springs 3* ibis (room only), 3 nights Darwin 3 * Travelodge (room only), Kakadu tour whilst in Darwin, Sunset tour in Ayers Rock, Transfers included, Malaysia Airlines flights. 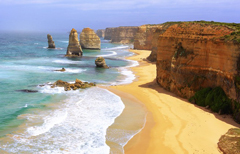 3 nights Adelaide 3* Mercure Grosvenor (room only), 5 days car hire all inclusive, 4 nights various hotel Great Ocean Road, 3 nights Melbourne Great Southern Hotel (room only), Phillip Island fairy penguin tour, 4 nights Sydney Travelodge (room only), Qantas flights via Dubai. 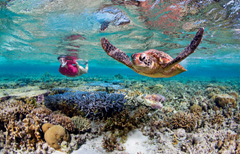 5 nights Sydney Travelodge (room only), 6 nights Port Douglas, Port Douglas Retreat (room only), Includes transfers from Cairns, 5 nights Brisbane Watermark Hotel (room only), Tour of Blue Mountains included, Great barrier reef trip included, Qantas flights via Dubai.